A new report from the National Dual Language Learner Work Group explores how one rural district is supporting its DLLs. Historically, newcomers to the United States have settled along the Southwest border or in coastal, urban centers of immigration, such as New York City, Los Angeles, San Francisco, and Miami. However, in recent decades, an increasing number of individuals and families are arriving in less-predictable, rural communities in the Southeastern U.S. These population shifts have led to a dramatic increase of students learning English in public school systems across the region. Six of the top ten fastest growing states for dual language learners (DLLs) are below the Mason-Dixon line: Alabama, Kentucky, Mississippi, North Carolina, South Carolina, and Virginia. Virginia, “the mother of states,” saw its DLL population triple from 2000 to 2010. 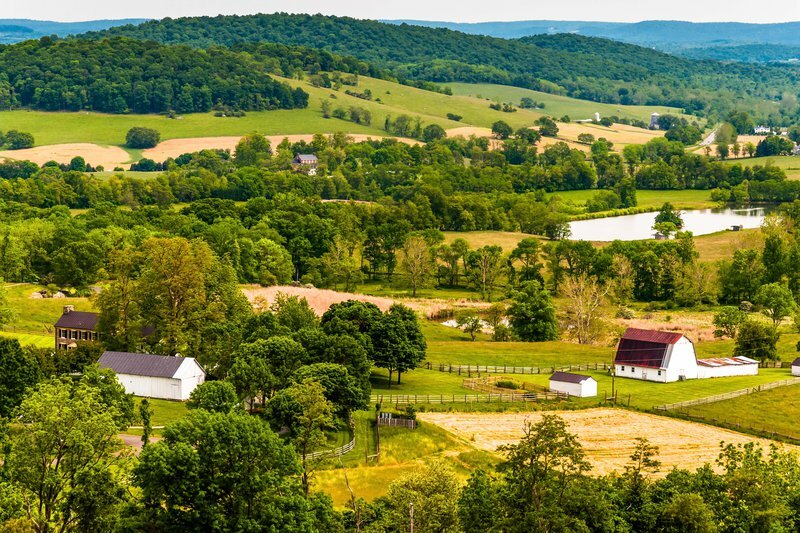 Within the state, Harrisonburg City, a rural town nestled in the fertile hills of the Shenandoah Valley, is emblematic of these sharp demographic changes. The town’s agricultural industry has attracted a large number of immigrant workers from Central America, and Harrisonburg’s refugee resettlement center has drawn many other international families to the area. Public school enrollment reflects the influx of newcomers: the number of DLLs in Harrisonburg grew from 10 percent of all K–12 students to a high of 41 percent in the past two decades. These children represent 51 home languages and 46 different countries. The expansion of Spanish-English dual immersion programs to four out of its five elementary schools. Each of these approaches stands on a vast body of research on what works best for DLLs. As we explore in the report, Harrisonburg presents a compelling illustration of actually converting those findings into meaningful, district-wide change in a smaller, rural setting (Previously, our team has distilled lessons from more metropolitan districts in San Antonio, TX, Portland, OR, and Washington D.C.). Of course, as other districts look to Harrisonburg for inspiration, it will be important to consider contextual factors have helped undergird Harrisonburg’s responsiveness. Nicknamed “the friendly city,” Harrisonburg has an uncommon ethos of acceptance for immigrants, refugees, and multilingual learners in a rural region. In part, this can be attributed to the fact that Harrisonburg is a college town, home to James Madison University and Eastern Mennonite University, which brings a generally progressive energy. The city also has a significant Mennonite community that contributes to an inclusive tenor, emphasizing service, peacebuilding, and a global outlook that values multiculturalism. Within HCPS, superintendent Scott Kizner has set a vision of equity for all students and fostered a culture of continual reflection. Furthermore, many of the district administrators began their careers as teachers in Harrisonburg and see the diversity from the district’s population shifts as an asset. Finally, and crucially, the district has long passed a tipping point in the magnitude of its DLL population within a total student body of just 5,600. When we visited the district earlier this year, HCPS ESL Coordinator Laura Feichtinger McGrath explained how the district has “had a population—a critical mass—that has led [it] to be paying attention to [DLLs] for longer” and moved leaders to experiment with solutions for a longer time relative to other communities. Jeremy Weaver, HCPS Executive Director of Elementary Education, echoed this idea; in places with less DLLs, “it’s almost like [DLL education] is more viewed as a side conversation rather than the conversation,” he said. The history of Harrisonburg DLLs being “the conversation” for a longer period of time helps put the district ahead of the curve. As a result, other districts newly grappling with linguistically diverse student populations don’t have to start from scratch. They can look to Harrisonburg to glean key insights and consider how their lessons might apply to their own evolving contexts. Click here to read the full report, A Critical Mass: Creating Comprehensive Services for Dual Language Learners in Harrisonburg, by senior researcher Amaya Garcia and program associate Janie Tankard Carnock. This post is part of New America’s Dual Language Learners National Work Group. Click here for more information on this team's work. To subscribe to the biweekly newsletter, click here, enter your contact information, and select "DLL National Work Group Newsletter."